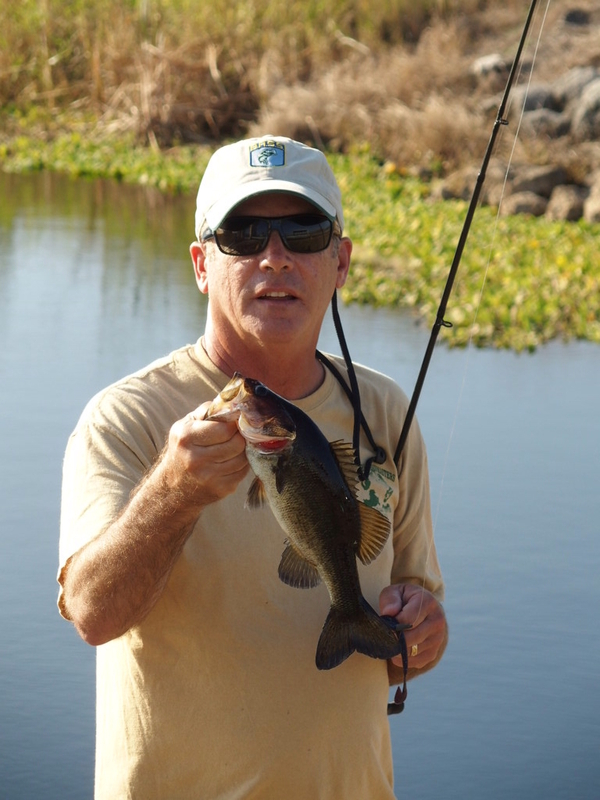 A little saltwater in the morning and freshwater in the afternoon…… Doesn’t get any better than that! Sharon and I went to the Sebastian Inlet State park in the morning, and the weather was shaping up nice. A little chilly in the AM, but by the time we got there, it was in mid sixties and sunny. On thing that hit us right away was….. wow this is crowded…. 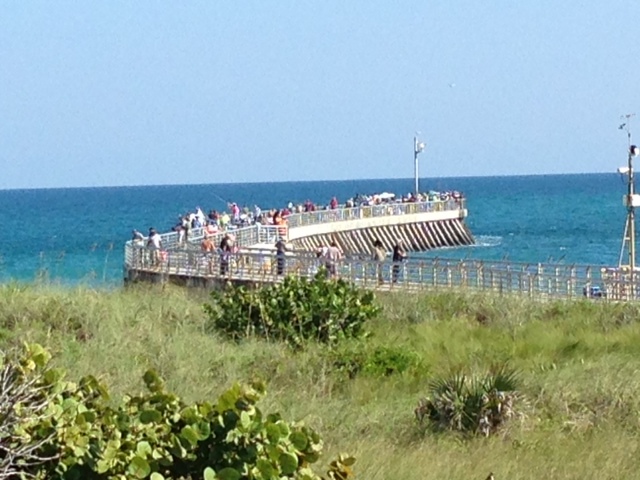 Sebastian Inlet has been a stable in Florida fishing for many years, and every weekend this place really hops…. I found a little spot on the north end of the bridge back beyond the picnic area in the mangroves. The tide was moving out when I started, so I tried the Berkley Gulp shrimp and worked it with the tide. 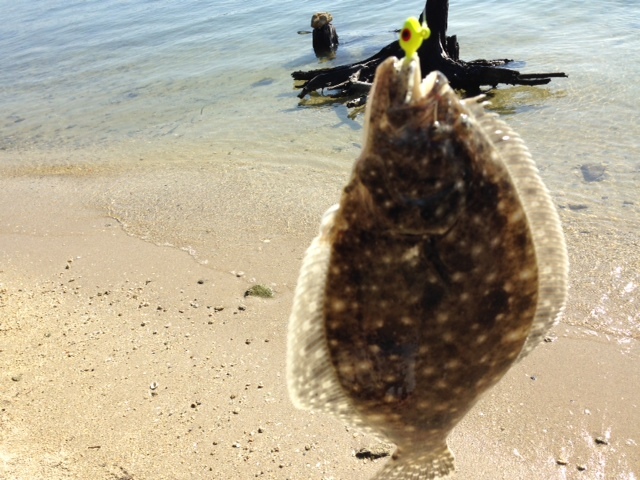 I picked up this nice flounder within about a half hour. I decided to move to the rocks, and tried the Yo-zuri jerkbait, bit had no takers. Just about everyone was using finger mullet or live shrimp. Since I am using only artificial lures, I felt I was at a disadvantage. On the other hand, very few people were catching anything. I had a few more “baitfish” bites on the Berkley Gulp Shrimp, but no real fish bites. 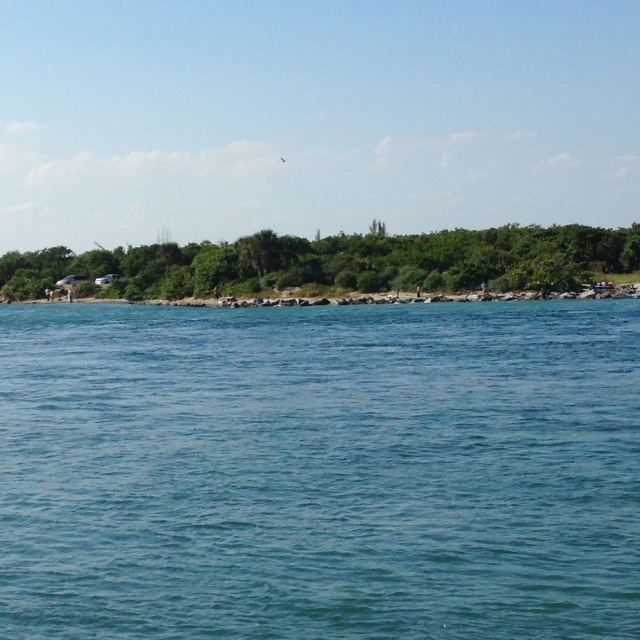 Below is a shot of the area I fished, and a shot of the pier where the majority do their fishing. 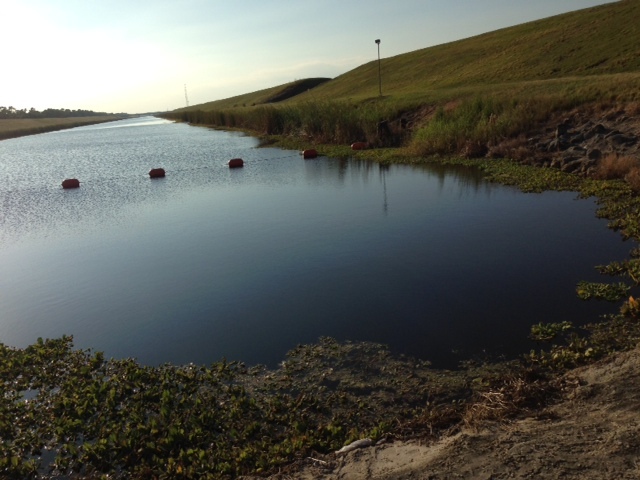 Sebastian Inlet is a historical place where many Floridians have gone to fish for many years. We stopped in the Fishing Museum they have at the park, and were quite impressed with the history that has been preserved for future generations. I highly recommend this if you are in the area. Next, we drove about 30 miles to the Sebastian River State Park. This park borders Canal C-54 and ends at the Sebastian River. You follow a dirt road when you enter the park that borders the berm that runs along the canal. We stopped at the lock that controls the water flow from the canal that enters the river. The canal has plenty of vegetation around the edges, and some rock that sits at the end near the lock. Since this was freshwater, I got out my bass gear. I tried a Zoom Super Fluke but didn’t get any takers on top. I went to a Texas rigged Ultra-Vibe worm and picked up the first bass. I had two more hooked that came off when I dragged the worm through the rock at the end of the canal. As a last resort, I tied on a shaky-head worm, and caught another small bass. I put in my two hours, so time was up and another successful day at the State Parks of Florida. It’s a great day when you can catch a saltwater and freshwater fish within a few hours! This entry was posted in Uncategorized on November 18, 2014 by shurstrike.